The Libertia Society hosts events that aim to expose participants to new ideas and to connect them with others. Our premier event is an invitation-only women’s conference on women’s contributions to the philosophy of freedom. We provide a place for women interested in classical liberal and libertarian ideas to gather and share their passion for a free society. Liberty Society Salon Brunch, Co-sponsored with the Women’s Liberty Salon-Houston, August 8, 2013 in Houston, TX. Libertia Society Weekend Conference: “Write-Hers for Liberty: Philosophy, Fiction, & Freedom”, June 6-8, 2014 in Washington, DC. 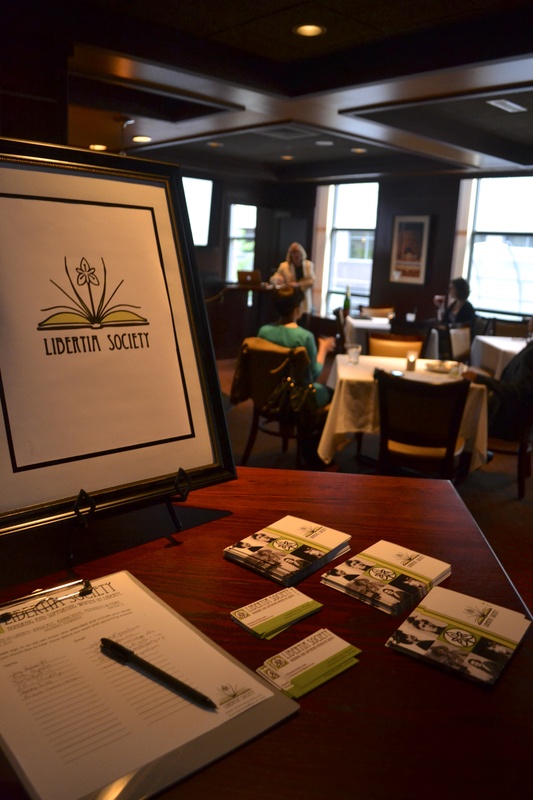 Libertia Society Lecture & Discussion: “Reasoning Deeply: Mary Wollstonecraft and Women Arguing for Liberty”, Co-sponsored with The Ladies of Liberty Alliance and Liberty on the Rocks, April 1, 2014 in Houston, TX. Inaugural Libertia Society Weekend Symposium: “Women for Liberty”, June 7-9, 2013 in Chicago, IL. Please join our mailing list to hear about our upcoming events.